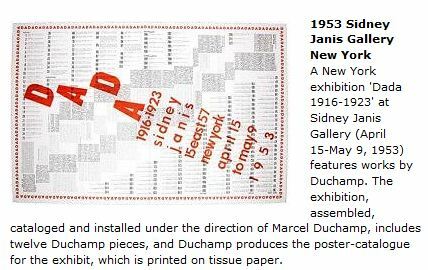 "The following [list] is offered not as a complete list of exhibitions by Marcel Duchamp, but as a comprehensive selection intended to give a survey of his activities and the way his work came to be known. Invaluable sources for a complete listing are the publications by Francis M. Naumann and Hector Obalk and Timothy Shipe for Arturo Schwarz." .